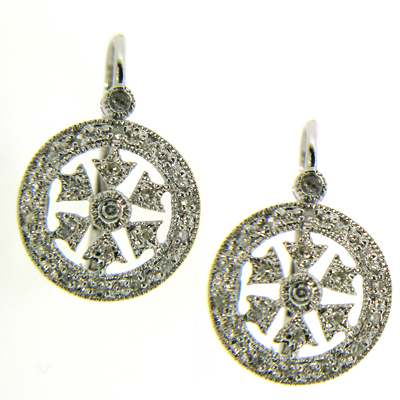 14kt white gold hinged earrings. Piece weighs 3.55 grams. Forty four round diamonds are .23 ct total weight. Earrings measure 25.5mm tall by 18.5mm wide.